Every institutional leader should read David Hurst’s "Crisis & Renewal" at least once. The book’s analysis of the life cycle of organizations draws on the natural life cycle of a forest -- emergence, growth, stasis and decline (with the possibility of renewal). The forest allows Hurst to ask what makes the difference between a forest that declines and then renews and one that declines and ultimately doesn’t. His argument, as I read it, is the planned burn. All forests decline. It is natural. But those forests that begin to decline and experience a carefully orchestrated “planned burn” experience a moderated decline and are poised for renewal. 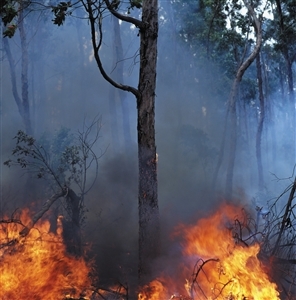 But forests that begin the process of decline and are left unchecked often experience forest fires that can be catastrophic in scope. In Hurst’s argument, there is an organizational corollary. When an organization shifts out of stasis and toward decline, leaders face a difficult decision to execute a planned burn or risk much larger, unmanageable and perhaps devastating losses. In most institutions, there are programs that have been allowed to continue, sapping staff energy and time, without furthering the mission of the organization. Often, these are someone’s “pet project,” but they are really institutional undergrowth. By streamlining offerings and refocusing on mission, leaders execute planned burns. Over time, all institutions build up internal processes that once were essential to accomplish things that are no longer beneficial. Giving someone responsibility for executing a planned burn of process, thereby streamlining operations, may help an institution recover some needed agility. Many institutional leaders pride themselves on the network that they have cultivated across a career (it is part of what has made them successful), but most of us know the experience of spending long hours -- and money -- trying to cultivate a relationship that has gone nowhere. There is much to be said for a planned burn of contacts. This is not to say that persons get deleted permanently from the address book, but if the interest in a relationship is decidedly one-sided, then there should be no guilt about reducing contact to the minimum necessary. When the economic situation looked markedly different, many institutions’ staffs swelled to keep pace with developing opportunities, increasing student bodies and imaginative new projects. Now, living into leaner budgets, smaller enrollments and more targeted creative possibilities means that leaders can “right-size” through attrition. As employees leave and institutions do not rehire for their roles, leaders are executing planned burns. If Hurst is accurate in his description of institutional life cycle, then the question is not so much if an institution will experience decline but how to position itself for renewal on the other side. Paying attention program, process, networks and staffing enables the leader to make the most of inevitability. This is a reprint of a blog by Nathan Kirkpatrick that appeared in "Faith & Leadership" www.faithandleadership.com. The views and opinions expressed in this commentary are those of the author and do not necessarily reflect the official policy or position of the Florida Conference of The United Methodist Church.